“So far away from your family, from your friends, from everything you ever loved. But, for some reason, you like it here. You feel something you can’t quite put your finger on. Think about it for a second, and maybe the word will come to you: Nostalgia,” Andrew Ryan said toward the end of the game. The first time I played “Bioshock” was in 2007 on the PS3. It was pure magic! I was enamoured by the the city of Rapture, a utopia at the bottom of the ocean. I was terrified by the hordes of “splicers,” superpowered deranged drug addicts, that would hound my every step. I was entranced by the opening plane crash sequence and emotionally moved by the ending cutscene. When the trailer announced that “Bioshock: The Collection” would be released Sept. 13, I felt the nostalgia coursing through my veins, like a plasmid syringe to the arm. The collection includes all three Bioshock games and all of their downloadable content, a museum of scrapped concepts and behind-the-scenes commentary from the series’ Creative Director, Ken Levine. Bioshock fans, myself included, are eager to dive back into the Randian utopia of Rapture and the breathtaking city in the clouds, known as Columbia. For the most part, Irrational Games doesn’t disappoint. The original Bioshock benefitted the most from the 1080p HD face lift. The game looks gorgeous! Most of the play-through was spent ogling over the improved graphics. The water effects are much better.The character models look like people now, rather then melted wax sculptures.There’s even a sheen to the rusty neon signs that flood the city. Even the fish look better! The interactive concept art museum you can walk through was my favorite extra feature. The commentary is fascinating. For those interested in the process of making video games or writing engaging stories, the behind-the-scenes commentary is certainly worth watching. On the other hand, “Bioshock” is still “Bioshock”. What does that mean? It means you know exactly what you are getting. Defeat the splicers in HD. Bring us the girl, wipe away the debt in HD. It’s just “Bioshock” but in HD. Newcomers to the franchise would benefit the most from this bundle. It has everything fans love about the original games, but not much else. Hopefully, the game may have been patched recently, but I had to reload the game multiple times. The quality of the game’s HD graphics is not consistent across all platforms. The problems that occurred on the PS4 were instances of graphics not loading and occasionally, important progressional sequences didn’t happen. PC and Xbox users reported having their games crash multiple times in addition to graphic problems and non-loading sequences as well. It is likely these will be fixed eventually, if it has not been fixed already. “Bioshock: The Collection” is a spruced-up repackaging of a nine-year-old beloved franchise that has been played to death by millions of people. There is nothing new in terms of playable content and story, but that’s perfectly okay. 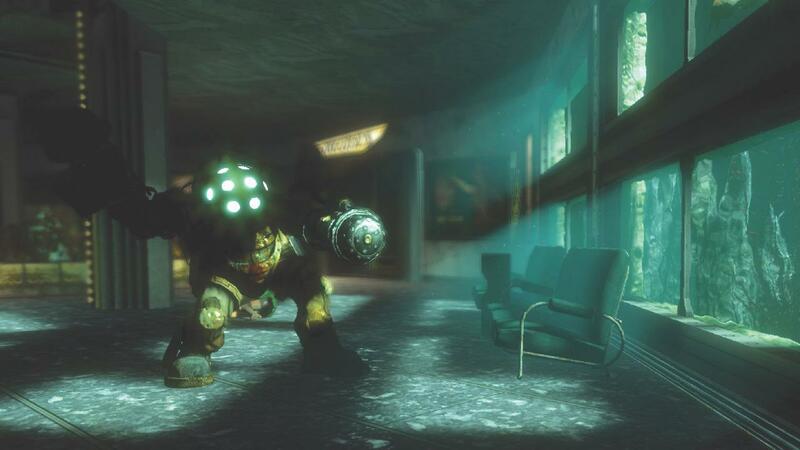 When the original “Bioshock” came out in 2007 it was lauded as a masterpiece, receiving “Game of the Year” awards from multiple publications. Nothing is going to top it and maybe nothing should. Nothing has to. The games are perfect as they are. The real value of such a game is not found in what it can do, but in the lasting effect it has on those who experience it. The franchise is very philosophical and tackles a lot of touchy issues from racism, government, religion, science, to classism and more.